The themes you see here and here. 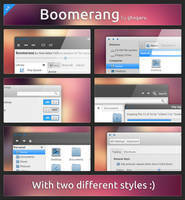 I was a bit reluctant to release this theme at first because I want to change so many things at once. However, I always get stuck on something that stops me from continuing with my ideas. This is meant to be used with your own custom panel background or the one I included. Follow the installation instructions for the advanced option. No nautilus-elementary style in this as it's no longer maintained. 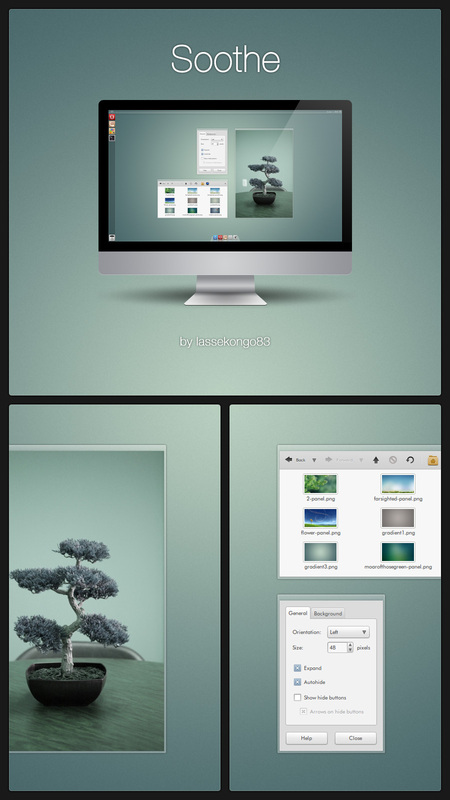 I really adore this theme; I had it as my theme in Ubuntu 10.10 and I'd really love to set it up in MATE when I do a clean reinstallation of Linux Mint 13. Would it be possible to get any help in that direction? Thank you! 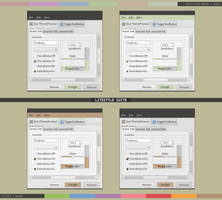 Does it work for GTK 3 yet? By the way. This theme is really nice. 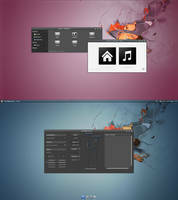 Do you have any intention of making this theme available for Ubuntu 11.10 with Unity? Awesome work. 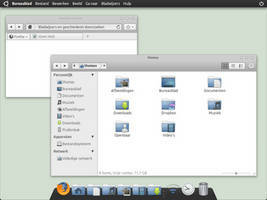 Any chance of a port to GTK3? 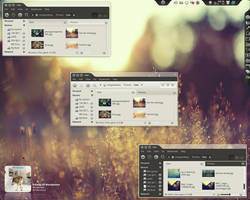 I think that this is the most amazing GTK themes I've seen so far...wonderful work!! 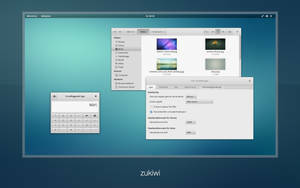 The transparent window boarder is due to emerald or nautilus theme? Emerald. 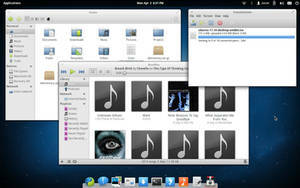 Nautilus is a file manager, and will not affect your choice of theme in any way. Nice work! What font are you using here? How do make the launchbar(the thing that is left of screen with shourtcuts) look transparent like yours mines not changing. It's not Unity. 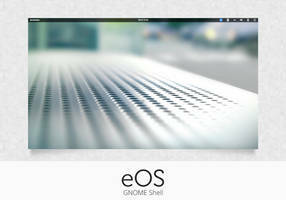 It's Gnome classic with a custom panel and a custom background image. huh? could you tell me how i can do that? When you login select Ubuntu Classic. Rightclick on the panel and select Add Panel. Position it on the left. 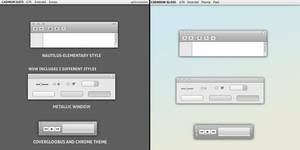 Rightclick again and select Properties and add your own transparent background image. 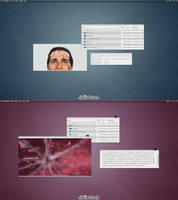 how did u get the text (Back, Forward) next to the icons on Nautilus Toolbar ? I can't seem to get this to work 100%. I have the colors and taskbar and everything done, but my windows aren't done, they look like normal ubuntu with your color scheme. HELP! I can't get nautilus-elementary to work, and those breadcrumbs was for classic nautilus. what's the font you are using here? Port it to W7 pleaaase!! Hi, I'm having a problem. The controls aren't working. I installed and updated all the theme engines you specified, restarted, logged off, but they still don't work. I read through the FAQ also. Can you help me please? Gorgeous! Can you release this as some kind of edible substance? 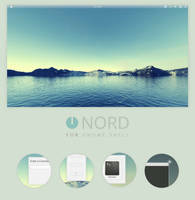 Could you please make this theme in black? 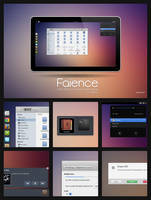 This is so sleek... too bad I can't get my disk of Ubuntu to work... I'm assuming it'll work on that?